The ILCA yesterday issued a press release detailing the earlier signalled name change for the Laser. The need for the change comes following last month’s termination of the European based Laser builder Laser Performance LP. LP holds the trade mark name Laser and the Laser star burst logo in its previous supply area which is everywhere except Oceania Japan and Korea. There would be trade mark issues if boats supplied by a builder other than LP were to be supplied with the name Laser or the star burst logo anywhere outside of Oceania Japan and Korea. Forthwith boats will be supplied from PSA, Laser Performance Japan and new builders as they are added with the name ILCA Dinghy and the ILCA logo as used by ILCA and registered some time ago. The ILCA press release HERE explains the name change and the post HERE answers frequently asked questions on how the builder and name changes will impact and be managed in the class. ILCA has today announced that it is seeking new builders to complement its existing network of Laser manufacturers. The move comes after longtime builder of the class dinghy, Laser Performance (Europe) Limited (LPE), breached the terms of the Laser Construction Manual Agreement (LCMA), which seeks to ensure the identical nature of all Laser class boats, regardless of where they are built. There is more information on the reasons for, and the implications of, this move on the ILCA web site HERE. There is a Frequently Asked Question on this subject on the ILCA web site HERE. Australian Sailing is calling for expressions of interest (EOI) for Athletes and Support Staff to attend the 2019 Pacific Games in Samoa from the 5 – 20 July, 2019. A selection criteria is now available on the AS Youth website outlining the criteria for both athletes and support staff. To be considered for the Pacific Games we ask that athletes or support staff register by the 5 April, 2019 by the close of business AEST by 1700 hrs. Hunters Hill Sailing Club have their Pleasant Sunday Morning Frostbite Series on the waters adjacent to Hunters Hill Sailing Club on Sunday 5 May, 2 June and 4 August 2019. The regatta is open to all off the beach sailing classes including Lasers Standard, Radial and 4.7. There will be a mix of windward leeward and passage style racing. Series entry is open until 4 May 2019, and must be accompanied with a series entry fee of $44 (inc GST) per boat. Entries received on or after 5 May 2019 must be accompanied by an entry fee of $22 (inc GST) per boat per race day participated in, paid at registration. See notice of race for further details and to enter click HERE. Laser production capacity will be limited in the lead up to the many events in Melbourne in 2020. PSA have opened a pre-order for new Lasers required in the 2019 lead-up and during the Melbourne events. Pre-order to guarantee your new boat delivery month. If you are thinking about getting a new boat in this period then check the information on the PSA web site HERE and/or contact PSA or your Laser Dealer. 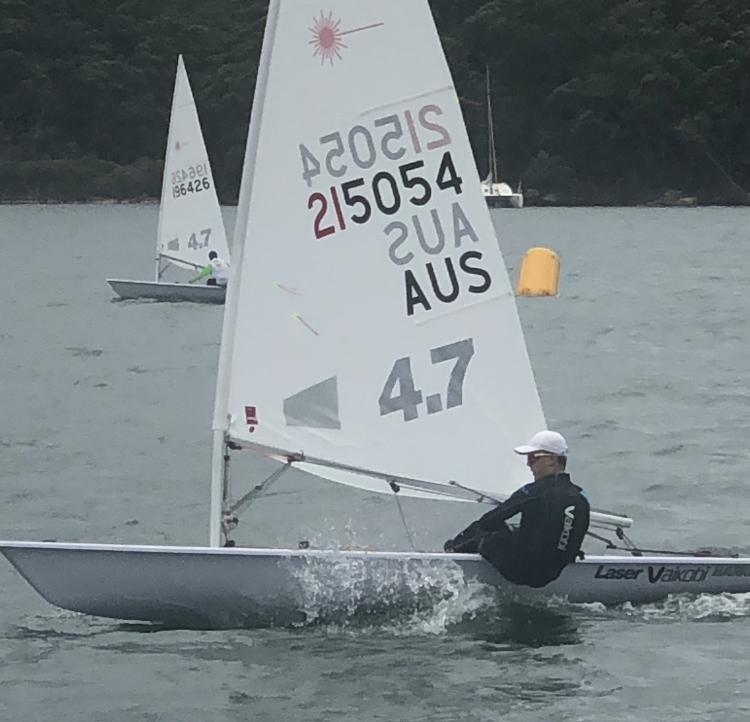 65 sailors braved the wet conditions at Royal Prince Alfred Yacht Club Pittwater for the 2019 NB Sailsports Metropolitan Championships over the weekend. While there was near record rainfall at least the wind was also in good supply from the SSE at 12-14 knots on Saturday and SW 12-16 on Sunday. The breezes were shifty with some of the Pittwater terrain adding to the challenge of working out the fastest way to the top mark. All six races were completed on full length courses so by the end of the regatta (when the sun did shine) the sailors knew they had had a good workout. In the 4.7′s local Oliver Gordon dominated with 5 bullets and a second as his drop. James Henderson from Lake Macquarie was consistent counting four seconds and a third for a clear second place. RPAYC’s Morgan Wells was third and the first female was Bayley Taylor also from RPAYC. The racing in the Radials was very close with only three points separating the first four places. Otto Henry RSYS finished on top by a single point from the very consistent Zoe Thompson RFBSC WA. Otto, who was also the first under 19, won three races. Third was Mara Stransky RQYS Qld. Mara won two races and was only 2 points away from Zoe. It was great to see these top women sailors in action including Elyse Ainsworth from WA. The first under 17 Radial was Daniel Costandi RSYS/GRSC/DBSC. In the Standard rigs the standout was local Chris Dawson RPAYC who had four bullets for a dominant win. Lorenzo Cerretelli WSC had a heat win and was otherwise very consistent to finish second from Ryan McLoughlin MHASC. Thanks to RPAYC for their fabulous support of the Laser class and for their organisation of the event. Thanks also to Rob McMillan NB Sailsports for sponsoring the event and for coming along to sell gear in the big wet. Oliver with a little less control – He still won! The NB Sailsports Metropolitan Championships are on 16-17th March at the fabulous Royal Prince Alfred Yacht Club at Newport. This will be another great event and as our last big event for the season not to be missed. The Notice of Race is HERE and Sailing Instructions HERE. 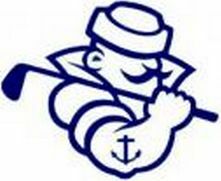 Entry is $60 and $30 for sailors under 21. You can enter online HERE or at the club on Saturday between 9.30 and 11.30am. There is a detailed Competitor Information Guide with all you need to know about the land logistics for the event HERE. We will be running SMS sign on/off so if you are deploying from another location you can send an SMS to 0477 647 537 including the sail number/s and “sign on” or “sign off”. 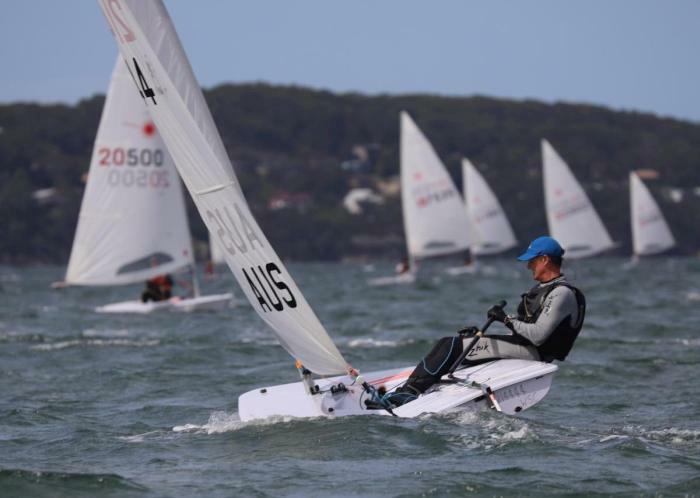 The NSW & ACT Laser State Masters were held over the 2-3 March weekend at South Lake Macquarie ASC and what a cracker event it was. There were 128 entries sailed in two fleets – Standard with 72 and Radial 56. There was a great representation from Queensland, Victoria and WA joining NSW and ACT sailors for the event. The weather gods were very kind with beautiful NE breezes on both days from 12 to 16 knots – what’s not to like. The full schedule of 6 races was completed. The conditions were kind to the race crew and RO Andrew McLachlan however the Standards tested their patience with a near to record 6 black flags in one race. It is true that the black flag finished up in lake but not true that it was thrown there by the race crew in despair at its ineffectiveness. Thanks to the sailor who fished it out and returned it to fly another day. 18 cubes were awarded in the various age divisions. The outstanding winner in the Standards was current World Masters Champion Brett Beyer WSC who won every race. Though he was pushed at times he was always first when it mattered. David Whait from SoPYC/FSC WA also a Master was second in the standard Fleet by a tie break from Apprentice Master Nick Skulander WSC. In the Radials GGM Jeff Loosemore MHASC/GRSC won all but the first race for a convincing fleet win. GRSC club mate Master David Early was a clear second with GM Adam French GSC third. Vanessa Dudley was the first woman and was 4th placed overall in the Radial fleet. The full results are linked below. There are very many excellent photos taken by Jane Humphris which you can see at the links below – click the thumbnail to see a larger image. Thanks to the SLMASC for their fabulous organisation of the event on the water and in feeding and watering us on the land. Thanks also to our RO Andrew McLachlan for his spot on settings and tolerance of the impetuous. The Notice of Race for the event is HERE and the Sailing Intructions are HERE. You can enter online HERE. Rob Lowndes has organised the Masters Golf event on Friday 1st March. The prizes are not as great as those at the event with the same name at Augusta – but then nor is the expected standard of play. Details are in the post below. It’s on again, the Laser Masters Golf tournament will be held on Friday, 1st March as a prelude to the weekend State Masters. Venue is Morisset Country Club at Dora Street Morisset. Cost is $28 per person for members of any golf club and $33 for non golf club members. Cart hire is $40 per cart. Always a fun event it will be a teams based Ambrose format which means you don’t have to be a golfer (not many of us are!) but each team will have to count a certain number of drives from each member. The best drive is selected and all other players pick up their ball and place it close to the best ball. Each person then hits a second shot from the same spot and so on until holed. Teams will be selected on the day to give a spread of golf experience in each team. Also $10 entry for prize money including a nearest the pin and longest drive. We’ll meet at noon at the club to have some lunch, select the teams and pay the green/cart hire fees (directly to the pro shop please) for a first tee time around 1:00pm. Please let Rob Lowndes know if you will be coming (text 0419 266 257 or email lowndesr@bigpond.net.au). If you would like a cart book it directly with the pro shop at 02 4973 1100. For future planning below is the list of our NSW & ACT events for next season. 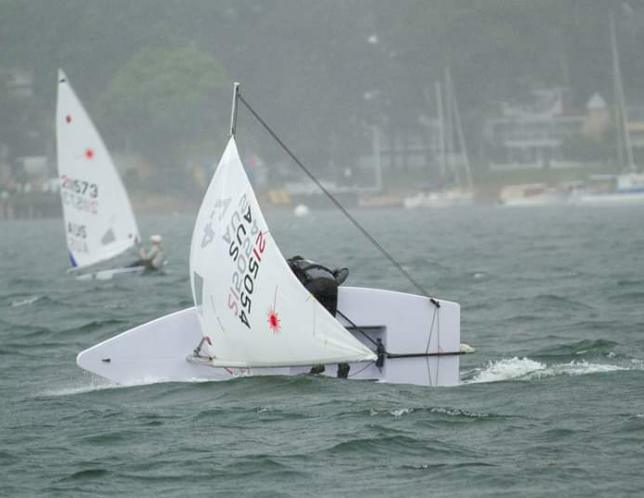 It will be a very busy year for Laser sailing in Australian in 2020 with Oceania and World Open & Masters Championships scheduled for Sandringham and Geelong. The list of known National, Oceania and World Laser Championship events in 2019 and 2020 is below. For all three of the above events, the deadline for receiving paid applications for initial allocation of places is 9 March 2019 at 23:59 Central US Time (10 March 16:59 AEDT). For both of the above events, the deadline for receiving PAID applications for initial allocation of places is 20 March 2019 at 23:59 Central US Time (16:59 21 March AEDT). These are all limited entry events with Australia’s allocation of places filled in order of ranking. The ranking event for World Championships is the preceding Australian Laser Championships – 2019 Devonport in this case. If you don’t apply by this deadline you have little chance of receiving and entry offer. The ILCA event web site HERE has all the information and links to apply.